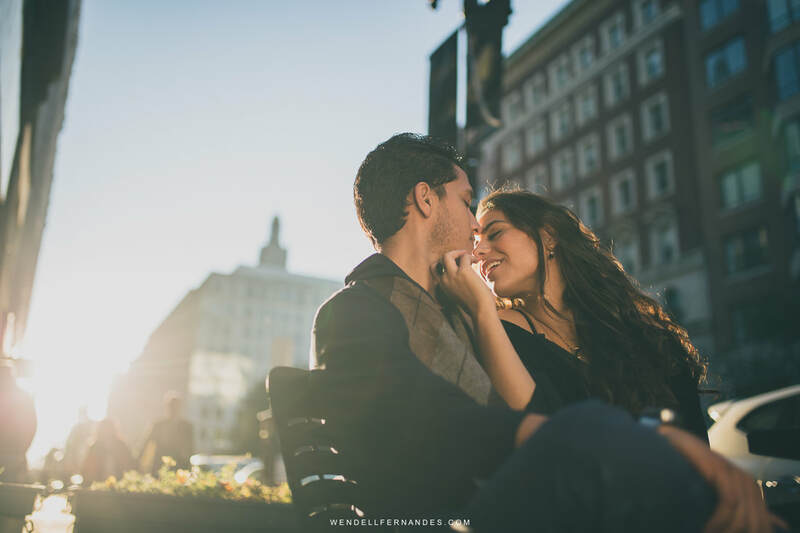 Engagement Photos in Boston, MA is the ultimate preparation for all the amazing things that is about to happen to you! In the world of wedding photography, the so called "engagement photos" have become a good norm and a preparation for the big day. It's created to serve as an icebreaker and for both the photographer and the couple to know each other better and as a result, the couple will have a handful of photos for them to use on a save-the-date card or to hang on the walls of their home. Sometimes this "engagement photos in Boston, MA" can be easily overlooked, especially in such city. What we have seen in the industry and in many different websites and blogs, is that this type of photography session is everything but meaningful to the couple being photographed. I'm talking about locations chosen, what they wear, what they do together, and it's amazing to me personally how empty this photo session in Boston has become. Photographers are always looking for different ways to make more money, and they completely ignore the relationship building that needs to take place. Instead of providing a spectacular experience, photographers from all over the country have forgotten they are actually dealing with human beings with real emotional involvement and real stories. We believe engagement photography session in Boston Mass, should be full of joy, energy, romance and much more. Each couple has unique Styles and ways they communicate with each other and we simply cannot box them into this one-size-fits-all mentality. If local photographers cannot be involved with each story and bring True Value to the couple, then he or she should not be photographing in the first place, it's just that important. That are certain things that one needs to consider when trying to find the perfect engagement photographer in Boston, MA. The first thing I actually tell clients is that they need to find more human beings than professional service providers. I say this because of a number of meaningless relationships being built on a daily basis is simply mind blowing. Before being a photographer or a professional service provider in this area, we are brothers, sisters, fathers, and mothers. We are people with real history behind us and no one can change this. People are needy of real, meaningful, strong relationships that are true in every way. My approach to this type of work is that I'm fully committed to providing couples not only with great imagery in preparation for their wedding day but also a full impactful experience from the day we start communicating with each other. Beginning on that first email, to the phone conversations we exchange and all the way up to the day we shoot their wedding and continue on providing this experience even before these special occasions, I believe relationship-building is the ultimate grail for a beautiful and meaningful engagement photography session in Boston. Let's talk about your day! "Engagement Photos in Boston, MA Must be Meaningful..."